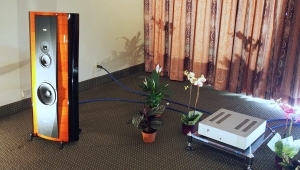 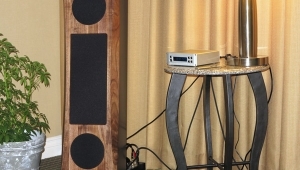 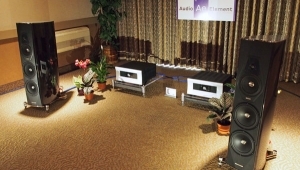 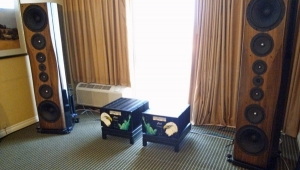 Steve was busy with a prospective customer, and didn’t have the opportunity to demonstrate how he can optimize the speaker’s midrange and upper-frequency tonal balance by means of two switches on its rear panel. 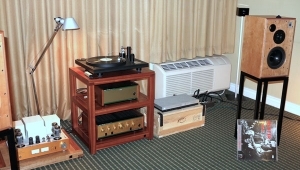 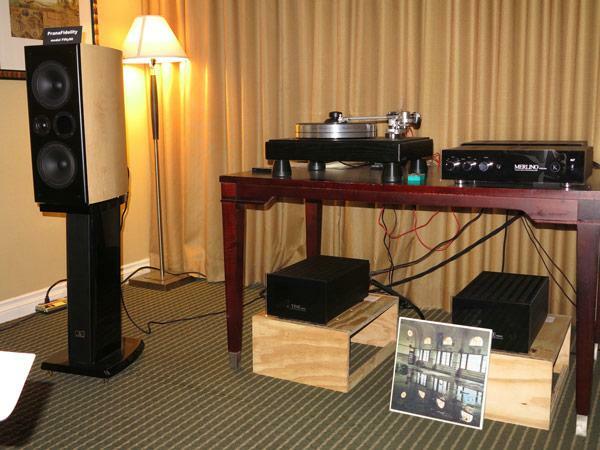 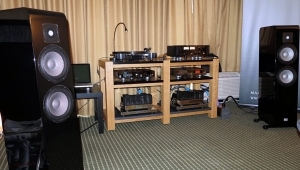 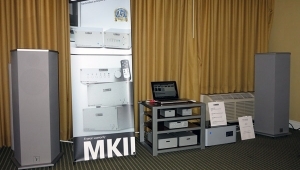 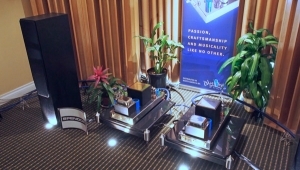 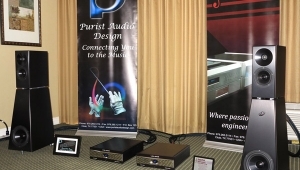 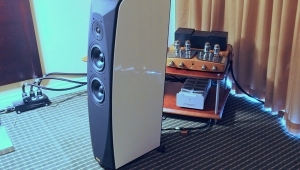 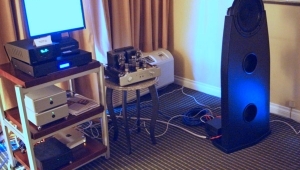 He did send an equipment list that identifies the chain as Klimo Tine 40W monoblocks ($8500/pair), Klimo Merlino Gold Plus preamplifier with Thor outboard power supply ($11,595), Soundsmith MCP2 phono preamp ($799.95), VPI Classic 2 turntable ($3499) with Soundsmith The Sussurro cartridge ($4899.95), and Black Cat cabling by Chris Sommovigo. 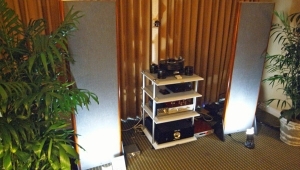 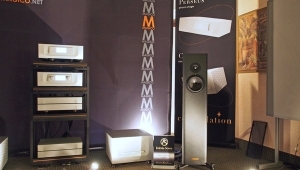 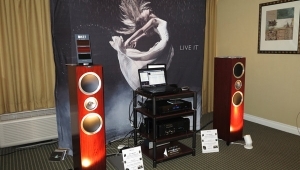 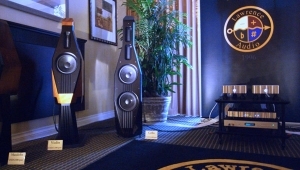 Those speakers are worth every cent and on some Pink Floyd they really rocked!